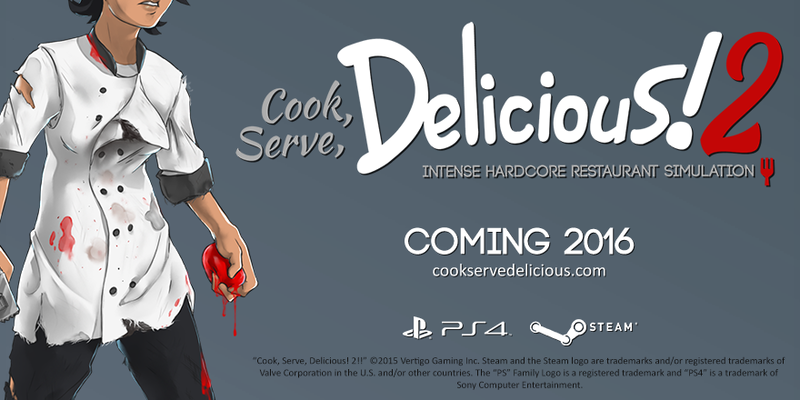 Yes, finally after several years of development on my first major commercial game, “Cook, Serve, Delicious!” I felt it was time to move on and announced a sequel on July 2nd! In the last article of this series (Part 6, and be sure to check out parts 1, 2, 3, 4 and 5!) I talked about “relaunching” my game on Steam as well as break down some of the new Steam features and gave a current total of sales up to that point. For this article I want to discuss some of the bold new Steam initiatives (Steam Refunds), the last Steam Summer Sale, and the lead up to the announcement of the sequel to Cook, Serve, Delicious! and the effect it had on sales as well. Before we get started, I wanted to talk a little bit about SteamSpy, the data tracking website that has used free data available on Steam to compile a fairly accurate picture of sales for nearly any game on Steam. It has, in a way, rendered these kinds of disclosures of Steam Sales somewhat obsolete. 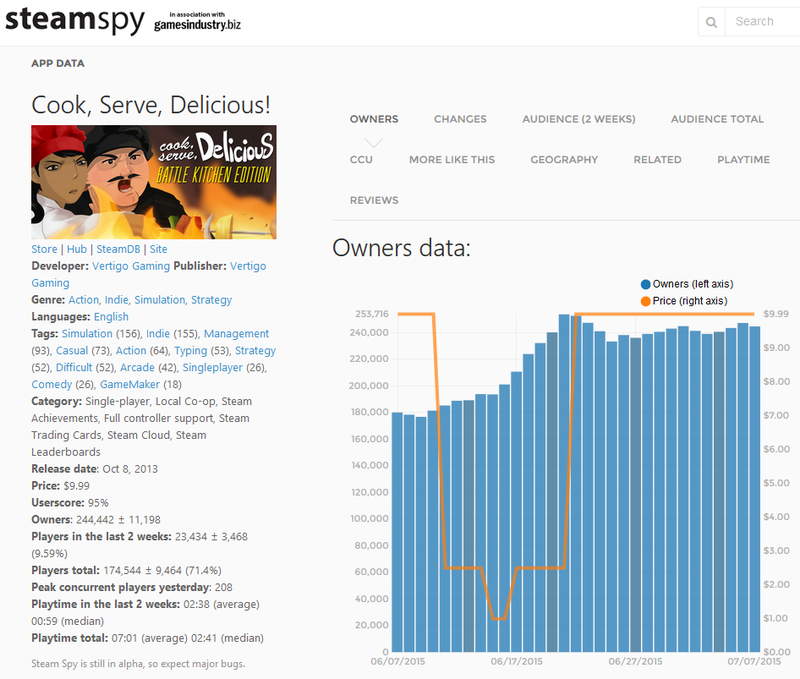 You can get a really good basis of how well a game is doing by using SteamSpy, provided it has sold over 30,000 copies (which is where the data becomes more reliable). In fact, when the site first launched I wondered if I should continue doing these articles at all. But ultimately these articles are more about the strategies involved behind the numbers, and give a clearer picture of what they mean. SteamSpy is insane. I had mixed feelings when it first launched…it felt weirdly wrong to be able to see numbers that no one was privy to unless the dev chose to share them. At the same time, it was incredibly fascinating. How much did certain genres sell? 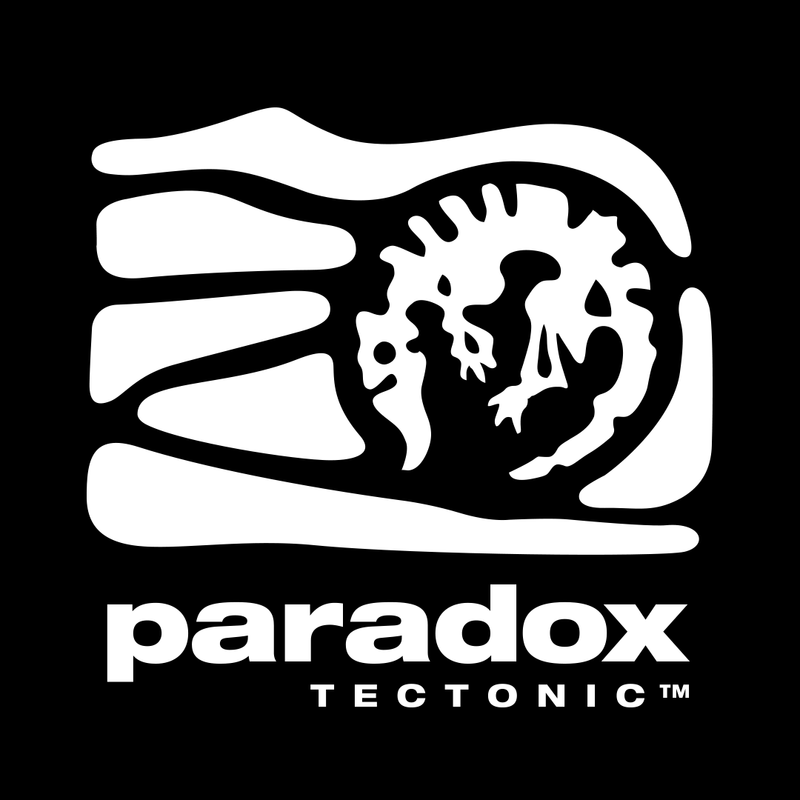 How did some of my favorite games do? How do I stack up to the competition? It’s a goldmine of data to have. I think it helps that the person behind SteamSpy, Sergey Galyonkin, is a good guy. He does care about the games behind the numbers and wants to make sure people don’t take these numbers at face value, and, as far as I know, accepts requests for games to be taken off his site by the dev. His tracking of CSD is on point: despite a ~11,000 margin of error, the site is off by only ~3,000. Quite amazing given it’s only using freely available data on Steam to get to these numbers. In the last article I mentioned Battle Kitchen, the big new update to CSD. Since then I released a smaller update adding some new modes and features, such as the Mystery Box Challenge, for free. But by and large the majority of the “big news” was done that November, so in a way CSD was mainly coasting on its own since January. Since January 29th (date of the last article) up until June 10th (the day before the big Steam Summer Sale) the game sold 4,096 copies on Steam, netting $40,624 in gross revenue. That was a surprising number to hit, given that outside of a Steam Bundle and a few sales there wasn’t a lot of promotions for CSD. I can attribute that to the slow but steady growth across YouTube/streaming, with a few major personalities checking out the game for the first time. 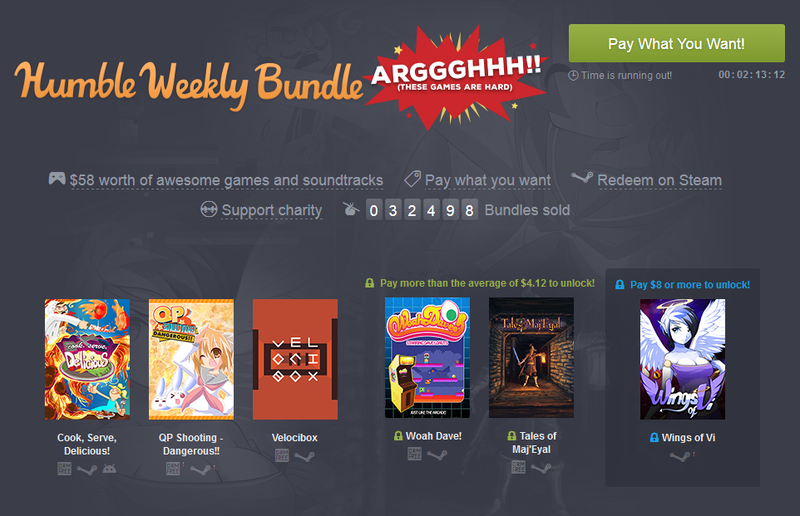 The Humble Store added 3,984 copies sold with some major sales promos (not counting the ARGGGHHH! HARD GAMES! Bundle). During these months I was mainly quiet across social media and on the CSD Steam channel. I had, in my mind, wrapped up CSD as far as new content went. I was worried that by not supporting the game for a long period of time that sales would similarly dry up. What I was actually doing since October was working on Cook, Serve, Delicious! 2!! I wanted to tell people I was working on CSD 2, giving my old game a shot in the arm in a way. But simply announcing it wouldn’t really be enough. I wanted to make the biggest splash possible. The small problem was that it wasn’t assumed that I was making a sequel…in fact, I had mentioned in a blog post back in 2014 that I most definitely wasn’t making a sequel, that the new game would be entirely different, and in fact put in an easter egg that tied into an achievement in CSD 1 that vaguely talked about a whole new project. All of that changed in late 2014. 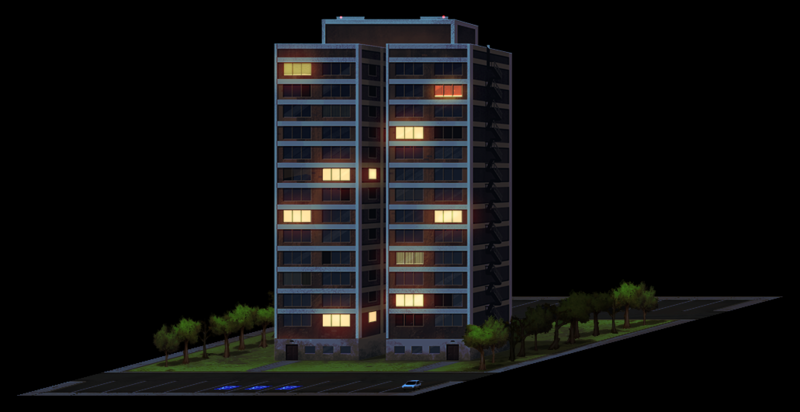 Back in 2014 I had several artists working on my new game project, a strategic sim that was a brand new type of game that I was very excited about. I was pouring in thousands, which quickly rose to tens of thousands per month. I had a grand vision of what it would all be, but I knew that with this game (which we’ll call Project CF from here on out) I would essentially be starting over. Anyone who liked Cook, Serve, Delicious wouldn’t necessarily like Project CF. Similarly, I had to target a completely new set of people who liked this genre. But I didn’t mind the challenge, or to put it a better way, I was deliberately ignoring the severity of the challenge. One evening I got an email from a high up person in a major broadcast corporation. He introduced himself and asked if I’d be interested in talking with him more about doing a game specifically for their new games division. It would be a spinoff of Cook, Serve, Delicious, using a well-known television show’s brand and incorporating that style into a brand new game for mobile. I was floored. I’d rather not say the name of anyone or be specific of the TV show, but it was one of those programs that rescues bars (ahem) and turns it around by the end. It was a hot property, a show that I was actually a fan of, and to do a game based off of it? It seemed nuts to even think about. I had some preliminary ideas for a sequel to CSD, but I didn’t know how to treat this new game. Would I make the sequel after the tie-in? What if I failed to do a good job tying in the brand…would I lose the very small brand recognition I worked so hard to build in CSD? I’d have to delay Project CF, and after I made this tie-in game, I would probably continue on with a sequel, delaying CF even further. There was so much to think about. After a few emails back and forth, communication stopped on their end for no reason other than, I imagine, just not being as interested as before. It was really just a “what if” scenario as I hadn’t entered into any formal talks (and in fact in December 2014 I found out in an AMA on Reddit that they were going forward with a game based on the app of the TV show, which made more sense). Going back into Project CF after those talks was tough. I couldn’t stop thinking about a CSD sequel. I already had some ideas for this tie-in that I would like to see expanded on, and more gameplay ideas came at me every day. It was like a broken pipe that I couldn’t stop. Then I realized, what am I doing. Project CF has the potential to be a lot of things, but here I was, ignoring this game that I spent years building, ignoring the potential of making a sequel that can be so much bigger and better, for a game that is completely unproven. Project CF is the kind of game you make when you don’t have too much to lose…and given how much money I had spent so far (close to $60k), I very much had everything to lose. With the project going forward and my estimates of how long it would take me, it would be close to late 2017/early 2018 before I would be able to release CSD 2. What a stupid, dumb move. What was I thinking? Why am I doing this? So in September I wrapped up all the art that I had left on the docket for Project CF, put the game on ice and moved forward to CSD 2. I will return to that project for sure, but for now, CSD 2 is getting 100% of my attention. All thanks to that crazy email. With the summer sale happening early June (and for the first time running during E3) I had a plan. Since CSD was released I had a strategy of maximizing profits with every sale push. This time, it was all about getting new players to try CSD, so that I could maximize the user base when CSD 2 would be announced. That meant trying out some huge new discounts: 75% standard, with the potential 90% off should Steam select the game for a promotional sale during the summer sale. I got a trailer together and decided that June 2nd would be the day to announce the sequel. That way, plenty of people would be excited about CSD which would roll perfectly into the summer sale, where I would get even more exposure. 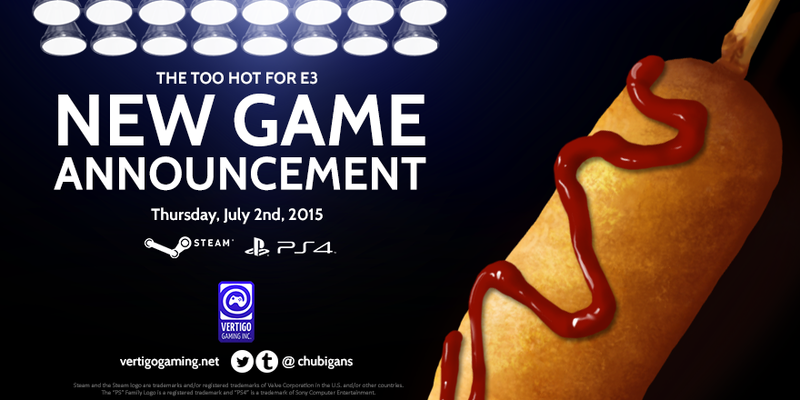 I figured the weeks before E3 would be quiet since everyone would wait until the start of the show on June 16th. My second plan, revealing the trailer at the PC Gamers Show at E3, fell through when they decided to go for large game reveals only. I contacted Sony and asked about possibly posting on the PlayStation Blog at the same time, and they let me know it would be doable, but asked if I would consider posting after E3, as there were going to be a flood of announcements around that time. Of course, they were right: those weeks to E3 had a ton of announcements, more than anyone was expecting, including a full trailer in some cases (like Fallout 4). So we set a new date, July 2nd, the day before the American 4th of July holiday. That meant going to the summer sale with no exposure or major promotions other than the discounts. I was worried my plan of getting a larger userbase as a result of CSD 2 being announced would be much more difficult. As like any other Steam sale, this summer had a unique “monster game” component where you played a browser game with others to unlock global discounts for the next day. There were the standard daily deals (24 hour promotions on the front page, with another 24 hours in the “in case you missed it” category, followed by the encore promotion at the very end of the sale) and flash sales (12 hours on the main page, then 12 hours in the second page). The Monster Discounts are on the front page for 24 hours, but only if the players unlocked them by meeting various community challenges. Cook, Serve, Delicious was featured in a Monster Discount towards the middle of the sale at 90% off, the lowest it has ever been discounted. I was worried that such a drastic discount would bring in a crowd not usually interested in these types of games, which could possibly lead to bad reviews (I was quite proud of the 96% review score!) Still, I had to build that userbase, especially with the reveal coming up in just a few weeks. The discount paid off nicely: the sale brought in $64,184, adding 54,960 new players to the game. The concern I had with reviews was somewhat off base…hundreds of new positive reviews came in, with about a dozen bad reviews, tipping the scale to 95% positive. Losing 1% for that kind of userbase…I think it was worth it! Now that E3 and the sale was behind me, I went full speed ahead into planning for the big reveal. Originally I was going to reveal just the trailer, but the full month delay allowed me to add more media, finalize a screenshot, and build a brand new website. It was an immensely better reveal than the one I had planned before E3. So, that Tuesday before the Thursday reveal, I teased a new game announcement. It was a lot of fun to make a big deal out of a small little cooking game like mine. But I was incredibly nervous. The run up to that morning, I was asking myself all kinds of questions. Was this the right thing to do? Should I have gone forward with a sequel? What will PlayStation users, who haven’t had access to the first game on consoles, think about this? All my fears melted away as the big announcement was posted on the Euro and US PlayStation blogs, and I followed with the trailer, website, and social media splashes. It was insane, fun, and intense all at once. Interestingly, sales didn’t pick up at all that day for CSD as I had assumed they would, but in the later days it started to improve and up till today there’s a higher average daily income than, say, last month. So while it’s hard to pinpoint if it’s the Summer Sale effect or the new game announcement that’s helped improve sales, it’s likely that it’s a combination of both. There are, of course, haters that came with the announcement, but I expected this quirky little cooking game to not be embraced by everyone, so I was fully prepared for it. Some comments were snarky, others extremely hateful, but none of them hurtful because they didn’t get to me. I had to actively seek out bad comments, so instead I just let the positive comments come to me instead. It feels much better that way. There’s a long road of development ahead, and this announcement is just the start of building a bigger userbase for the next year. It’s gonna be a lot of fun for sure. Steam is always finding new ways to innovate and change up the market, and the new Broadcast and Refunds initiatives are no exception. While the Broadcast feature is too hard to measure the effects on sales, as there’s definitely a much, much bigger presence outside of Steam via Twitch/YouTube, Steam Refunds have been quite an interesting program. Aside from those, you’re free to give any reason why you’d want a refund (and encouraged to do so in the text box that accompanies the request). Whether it doesn’t work, runs badly, or is even plain boring, refunds are granted as long as those criteria are met. The first few weeks of refunds were even more generous however, with some users reporting that games as old as a couple of months or more than two hours logged in were approved for refunds. I’d imagine this was Valve’s way of clearing the deck before they were going to a much stricter set of approvals, though they never actually confirmed it. 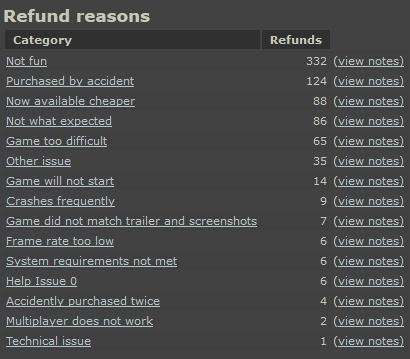 Thanks to the back end of Steam’s dev portal I’m able to see how many refunds were requested, and even get the reasons behind the requests, as long as the user provided one. The current Steam tally for copies sold on Steam is 240,775, however of those units about 136,000 are Steam based and were potentially eligible for refunds, given the lax period in the beginning where seemingly a majority of refunds were approved. Of those, 786 refunds were requested and approved, a majority of which came from the Steam sale. That’s about 0.6% of the total sales on Steam. Is that good? Bad? Honestly, it’s hard to say. There’s lots more data to unpack though: Steam helpfully provides a breakdown of the refunds requested to go along with the comments by the user. We can assume that 88 refunds were to simply buy the game at a cheaper price, so I don’t really consider that part of this group. I’m quite proud of the lack of technical problems the game has, with only 40 or less people attributing crashing or technical issues for a refund. Really, the biggest category that I could directly attribute to my game and learn from is the “not fun” category, of which there were plenty of comments. All of the comments that I can see are made anonymous, and a lot of them were simply people not having a great time, or realizing it wasn’t their cup of tea. A few had some good points that I plan to visit in the sequel. It was a great way of learning what I did right and wrong in the game. I think refunds are very much a positive step, and I don’t for one minute have any regrets or anger towards refunding 786 people for whatever reason they have. If you didn’t like it, then I don’t feel comfortable taking your money. It really couldn’t be simpler. 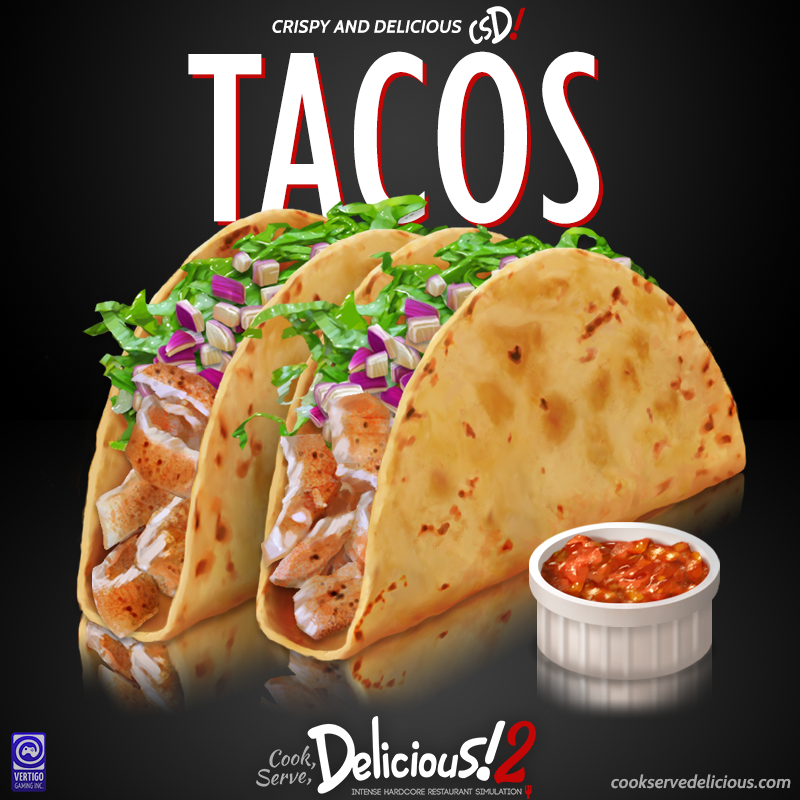 A screenshot of Cook, Serve, Delicious! 2!! Continuing from the last article, the game has a lifetime gross of $797,000 across mobile and PC, and I feel like a million might be possible before the sequel comes out in the next year. Wow, a million in gross…how crazy is that? How CRAZY IS THAT?? 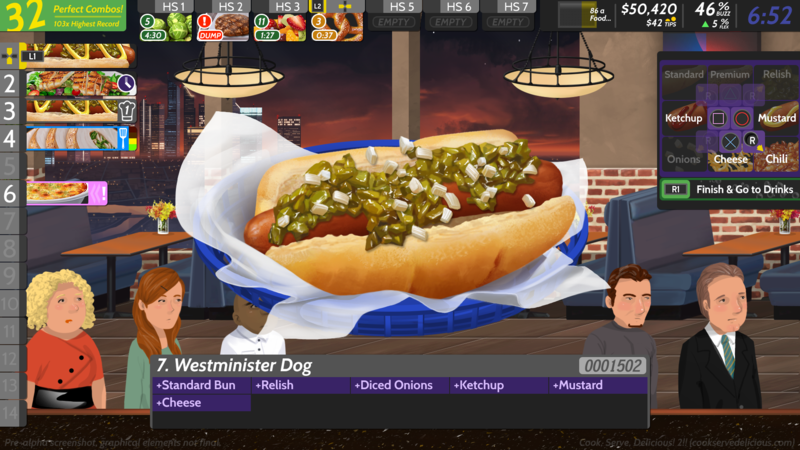 I feel that this is the end of what we can learn from Cook, Serve, Delicious! as I start to transition over to working full time on CSD 2. I’m going forward with the idea of building a userbase moreso than profits, so there will be some new sales strategies in the coming months. But it’ll mostly be on autopilot as I get ready to enter a whole new chapter in my career with this new game. Also I definitely plan on continuing these series of articles with CSD 2. The success of Cook, Serve, Delicious! 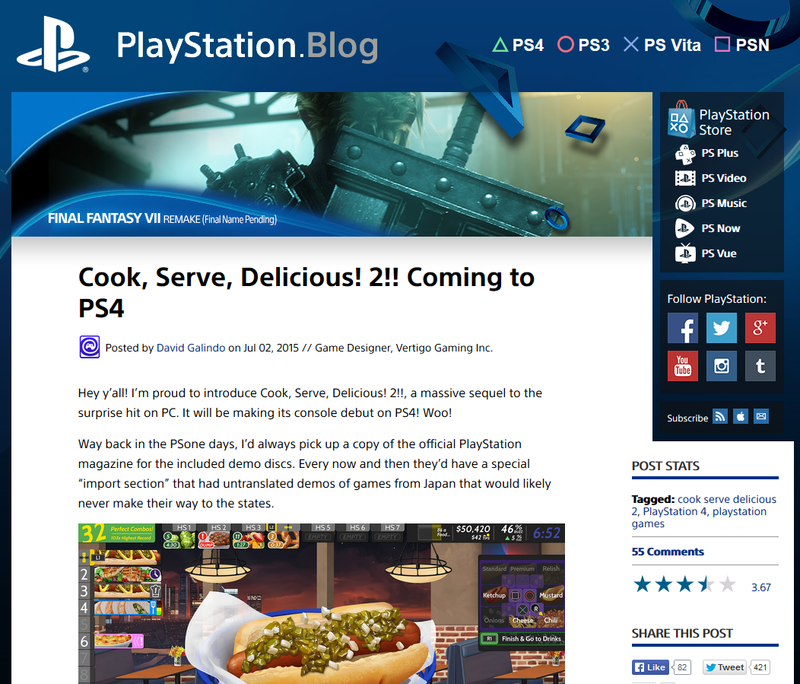 is by no means a foreshadowing of how Cook, Serve, Delicious! 2!! will do. CSD was able to grow from people discovering it over the course of several years. CSD 2 won’t quite have that luxury of being “discovered,” especially with it being on PS4, so I have to make sure I hit it out of the park at launch. I want to get stellar reviews. I want the game to be the best cooking game ever made. I want it to be successful right out of the gate. I want to make people happy and read about all the fun times they’re having with friends or enjoying watching streams of people playing the game. I love what I do, and I love that others have enjoyed what I made. I hope I can do it again. Man, I really, really hope I can do it again.